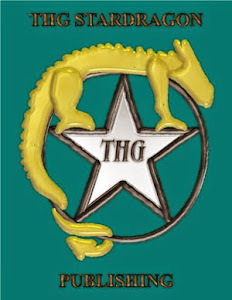 THG StarDragon Publishing is gathering submissions from authors and poets of all ages (including children) for “The Dragons' Beads: A Treasury”. We are suspending the former page limit, as it was proving difficult for some to feel comfortable constraining themselves. Please make submissions on standard sized (8.5 by 10 in) or A4 paper, or at a similar size in .doc, or .odt, format if submitting digitally. Digital submission is preferred to minimize retyping. CD media format is also accepted. When submitting, please include your age so that submissions can be filed in the correct project. The theme for the anthology is dragons, so let your imagination run wild... Use them as main characters or supporting characters, good, evil, or in between. Lazy or brave, Western, Eastern, extraterrestrial or from the depths of the sea, we want your dragons! Out of all the submissions, we are hoping to select 10 short stories and 10 poems will be selected. THG StarDragon Publishing reserves to right to choose more to fill the book depending on the length of the chosen submissions. This will be THG StarDragon Publishing's first anthology by (hopefully) young readers for young readers. Given the age level intended, ALL SUBMISSIONS MUST BE APPROPRIATE FOR GENERAL AUDIENCES. Depending on the success, more anthologies may be forthcoming in the future from the press. Editing will be done by Teresa "Amehana" Garcia (author of the ongoing Dragon Shaman series) and Faith Lindgren-Brown (editor for Dragon Shaman 2 and the forthcoming titles of the series). Cover artist is Victoria "Salaiek" Tuarann Davis, who has also done art for the Dragon Hearts RPG and for Dragon Shaman 2. Please, do not submit fanfiction to this anthology. Please send submissions by July 31st, 2013. Please note, original copies or disks will not be returned, so please keep a copy for yourself. Deadline for submissions is currently suspended, so this is open until we have enough submissions to go to production. By sending a submission you affirm that you have parental permission to participate (in the case of young authors). Those selected for inclusion will receive a free ebook copy of the book and will be eligible for a discount on the print book when ordering through email. Should the anthology sell well enough, each participant will also receive a small cash prize, so please include a mailing address to be kept on file. We are also interested in other submissions. Please feel free to email, just be sure to include a subject line "manuscript submission query" to prevent your submission from being overlooked or filed as spam by the email filter.